You saw him on the screen in the hit movies GOAL: The Dream Begins and GOAL II: Living the Dream. 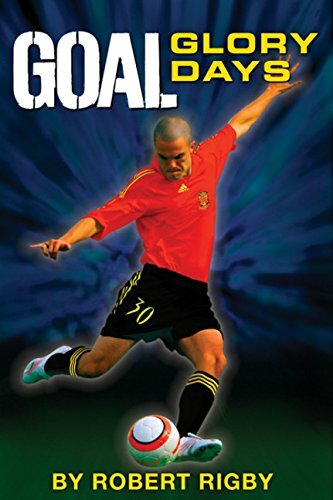 Now the saga of young professional soccer player Santiago Muñez continues in this final installment of the GOAL trilogy.With a fresh start and a warm welcome from his old fans in Newcastle, Santi returns to England and to the team where his career began. Soon he’s back at the top of his game, and when he is selected for a 2010 World Cup squad, it seems as if his dream of playing in the World Cup finals is within reach.But when Santi is injured during an international warm-up game, he worries that this could be the end of it all. With no time to waste, the pressure is on for him to get back on the field. Will his injury keep him from achieving his ultimate goal? Or will he recover in time to play in the greatest competition of his life? He is back in England. Who you may ask? Santiago Munez is back in England and has been selected for the 2010 World Cup. This is it, his life long dream, so close he can taste it. But, there are problems in his personal life, such as his troublesome brother, his wife Roz and her new job, and taking care of 3 kids. Can he do both? Will he have to pick? To make matters worst Santiago Munez gets injured, badly. It starts to look like his dream is over. Will he be ready in time to play in greatest competition of them all, or will it be too late?